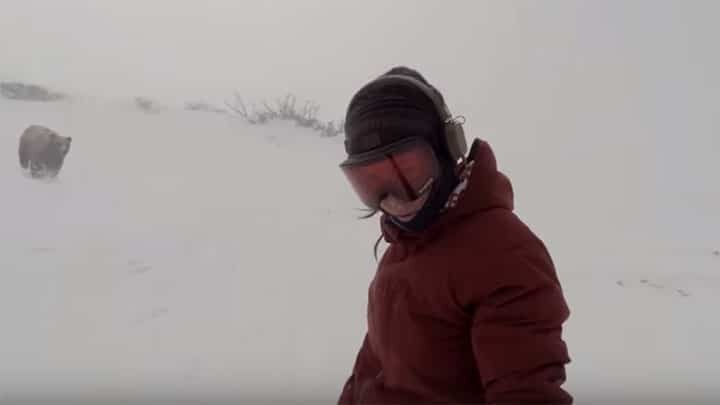 Filming herself snowboarding in Japan with a selfie-stick, this snowboarder had no idea she was being stalked and chased by a bear. While we’ve seen selfies that end is disaster, you would like to think that you’d be pretty safe hurtling down a mountain on a snowboard. It turns out not so much. Snowboarder Kelly Murphy who was tackling Hakuba 47in Japan only realised what had happened after she reviewed the footage. At the start of the video, you can see a large Asian bear stalking her in the background and then begin to chase her as she starts her descent down the mountain before realising it can’t catch her and gives up. Some viewers are calling out the video as a fake, pointing out it was unlikely a brown bear, as seen in the video would be on the mainland where the video was shot. Still, it’s good to know how to show a brown bear who’s boss.